SOTHEBY'S 2016 4TH QUARTER MARKET REPORT has been released.  The Market Report suggests what we already knew - the real estate market was/is softening, and now, even the $2-4M range is being affected with above 6-month absorption rates. That said, these Market Reports are helpful only to a certain degree. They look back at a room we just walked out of... not at the room in which we stand, nor towards the room to which we are headed. With newly closed condominium sales factoring greatly into these reports (the contracts for which were signed months to years before - thus skewing them), we need to rely more on what brokers are actually experiencing (“boots on the ground”). As reported last month, the expectation of a Trump presidency slowed the ebb tide of a weakening market and pushed a mild zephyr into the sails of many sellers. This has held true for us, though we are already starting to see cracks in the facade of what has been a potentially positive real estate honeymoon period between Trump and wealthy investors and big business. While the Dow industrial average reached an all-time high, unforeseen future decisions may negatively effect the bottom lines of many industrial sectors, thus making both foreign and domestic real estate investors think twice before spending. Our clientele remains cautiously optimistic about the markets near term future, however is realistic about the fact that, under our new leadership, anything can happen and it can happen very quickly. 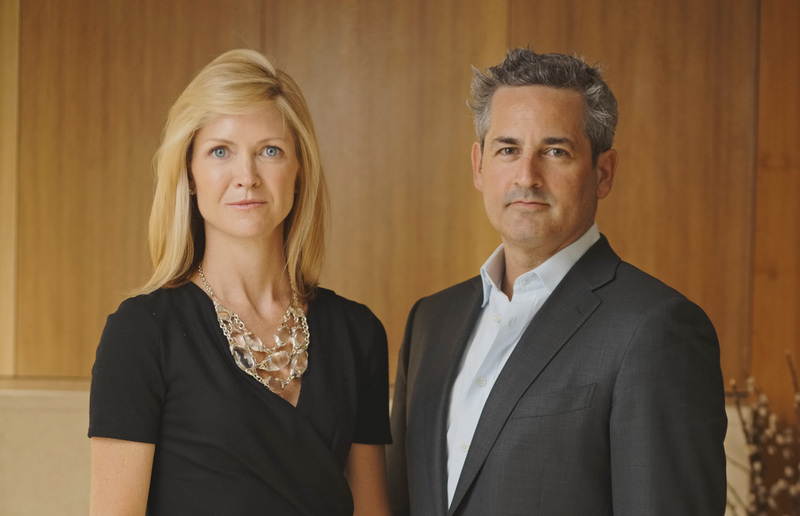 We are proud to share that the Stein Team was recently recognized as one of the top producers of 2016 by Sotheby's International Realty in the upcoming February issue of The Real Deal. 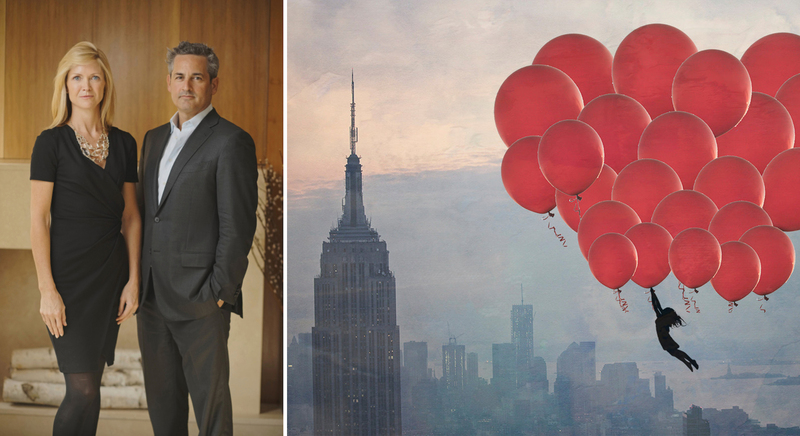 Continuing our success as the #1 Sales Team at Sotheby's International Realty in New York City for the second year in a row, we are confident that we will continue to achieve great results for our clients in 2017. 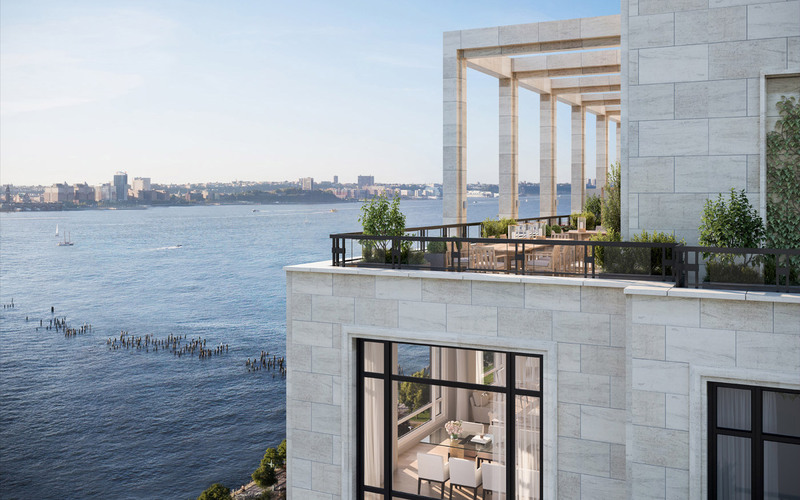 Home to some of the most expensive zip codes in the country, Lenox Hill stretches from East 60th to East 77th Streets, and runs from Central Park all the way to Manhattan's East River. 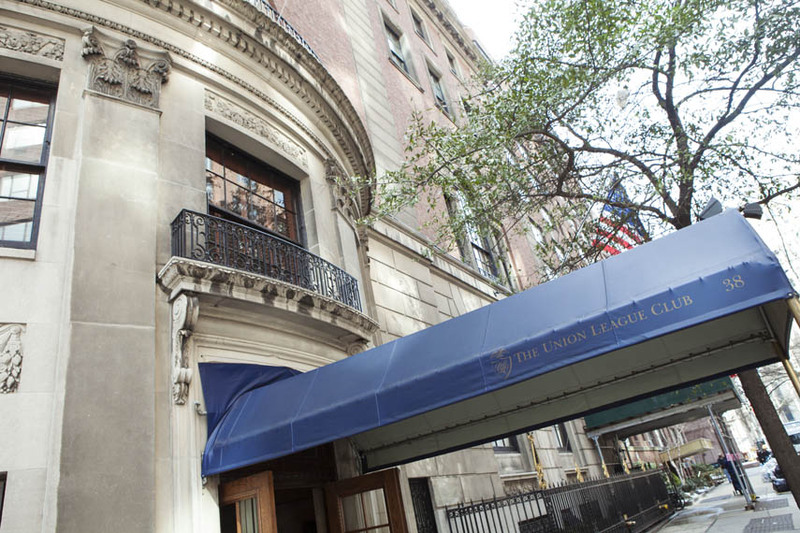 It is one of the most sought after neighborhoods on the Upper East Side and is known for its convenience - with close proximity to midtown business hubs, private social clubs, elite prepatory schools, restaurants, Madison Avenue shopping, and world-renowned medical care. 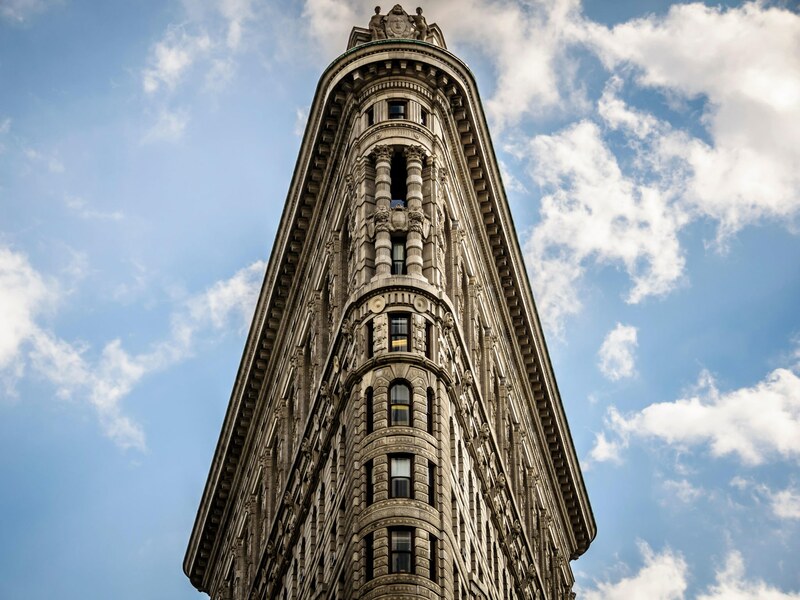 Named for the actual hill that stood at what became the crossing of 70th Street and Park Avenue, Lenox Hill is home to some of the city’s finest hotels and museums, making it a destination for tourists and locals, alike. Unlike many of New York's neighborhoods, Lenox Hill cannot be easily stereotyped. Lenox Hill is a neighborhood that appeals to people who are curious, people who value culture, good food, high-end shopping, and the ability to explore and travel the entire city. 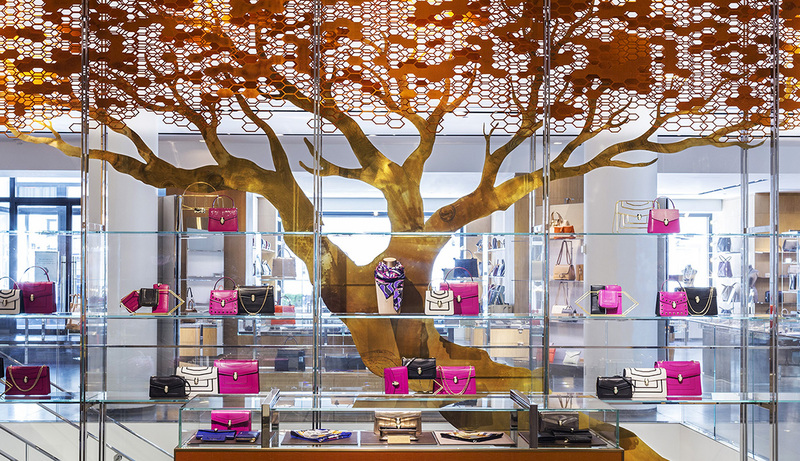 For shopping locally, look no further than Madison Avenue. From department-store juggernaut Barney's to labels like Tom Ford, Ralph Lauren and Hermes, Lenox Hill offers quintessential New York City shopping at its best. 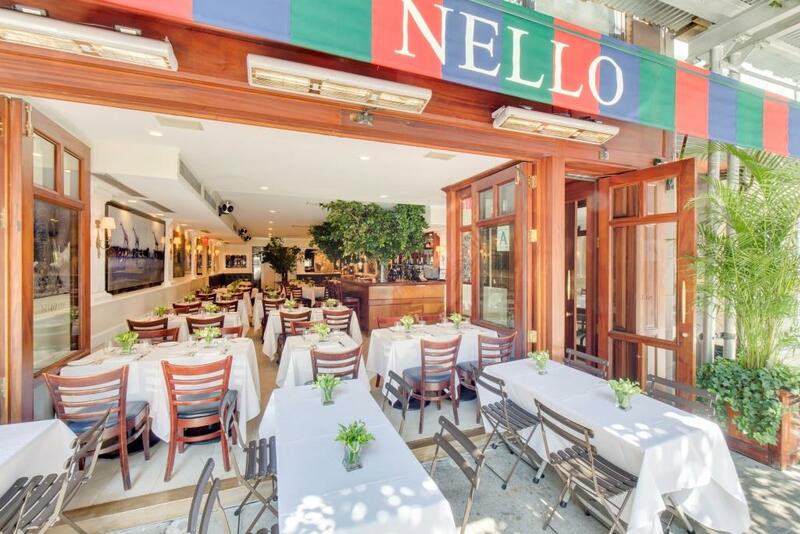 For local favorite dining, Amaranth and Via Quadronno offer classic café fare, while well-heeled Upper East Siders converge at both Nello and Le Bilboquet, both very popular neighborhood haunts for housewives and suits, alike. 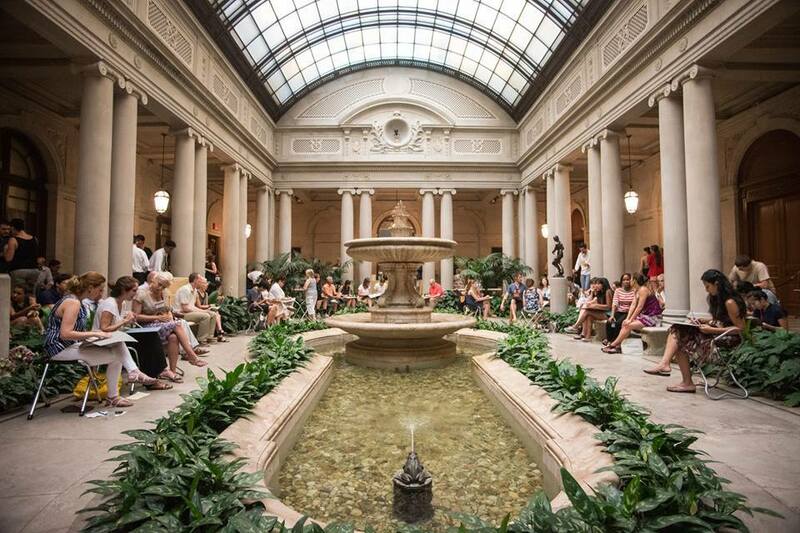 In terms of culture, The Frick Collection includes some of the most famous paintings by the greatest European artists, major works of sculpture, Oriental rugs, along with beautiful eighteenth century French furniture and porcelains. And for outdoor enthusiasts, it doesn't get much better than Central Park - the perfect place in Manhattan for outdoor activity, from open-air concerts, to sports, to sun-bathing. 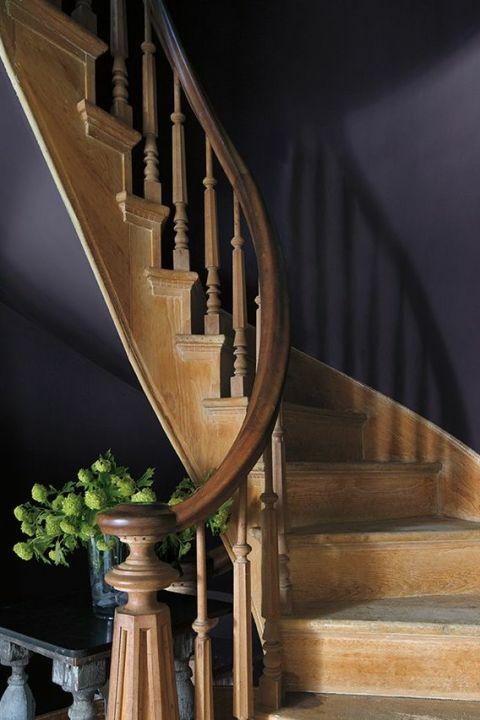 Benjamin Moore's Color of the Year, "Shadow"
Despite the recent years in which whites, creams and neutral tones have ruled the design world, premier paint company Benjamin Moore is taking a bold step away from this safe choice. 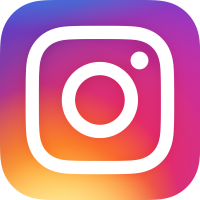 Every year, they make a forecast of their "Color of the Year," along with additionally recommended hues - a forecast that many industry insiders take very seriously. Last year, their color was "Simply White." But this year they went with something they describe as a rich, deep amethyst called "Shadow" (pictured left). The additional 22 colors they recommended include other jewel-like tones like ruby and emerald. Below you'll find our collection of curated rooms swathed in these deep and vibrant tones, which will hopefully give you some inspiration for a very colorful 2017. In the "new" condo market, we are witnessing a change in trend - a move away from the modern tower of glass that pierces the sky like 432 Park and One 57, and a return to a more classic look - meticulously restored landmarks and developments inspired by New York's historic buildings. No better example of this is The Woolworth. 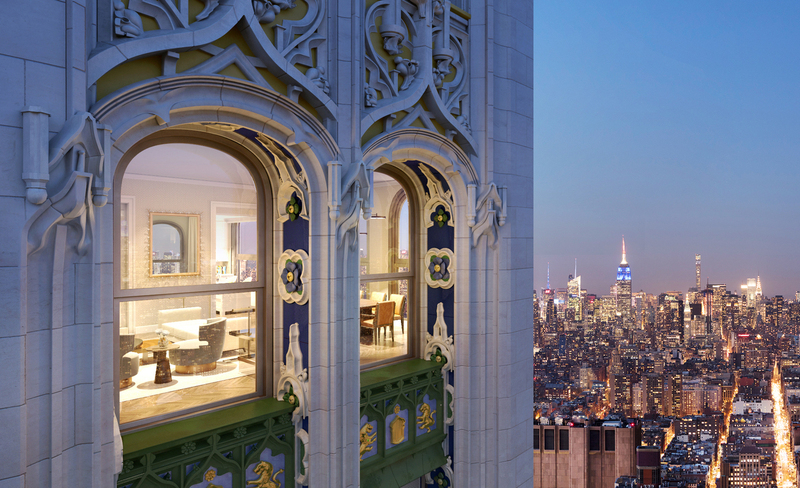 Built in 1913 as the world's then-tallest building, over a century later, this National Historic Landmark is welcoming residents to its highest floors, with a design quality, craftsmanship and attention to detail befitting this historic landmark. 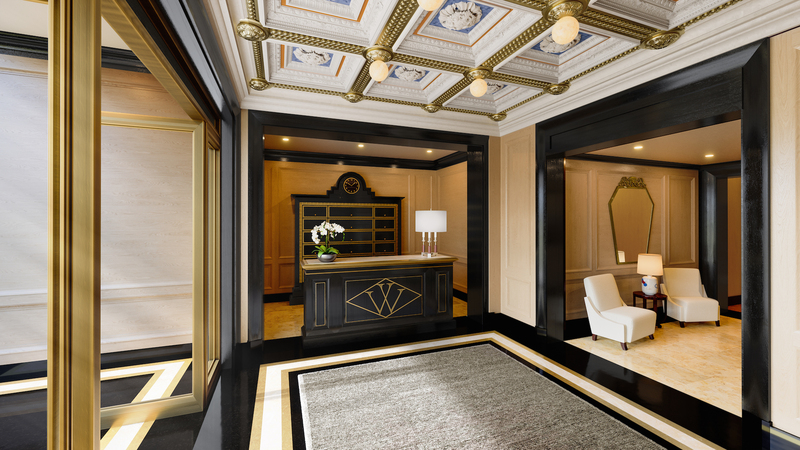 Offering soaring ceilings, herringbone flooring, restored terra-cotta windows, and amenities such as a lounge, pool, and wine cellar, the Woolworth is intended to evoke a club-like intimacy that will transport you to a bygone era. With its authentic, red-brick loft architecture and a secluded refuge feel, 443 Greenwich is an oasis on one of the best blocks in TriBeCa. 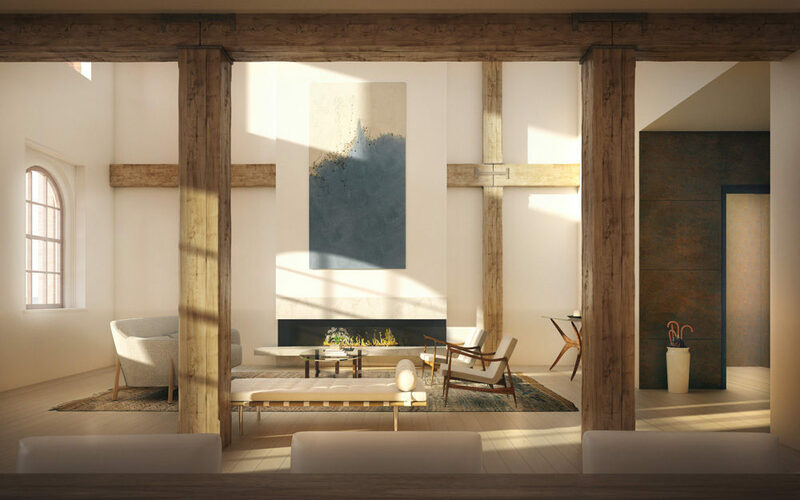 With a meticulously restored facade, and preserved architectural elements such as 16-inch square Carolina Yellow Pine beams throughout, 443 Greenwich offers an unparalleled experience. 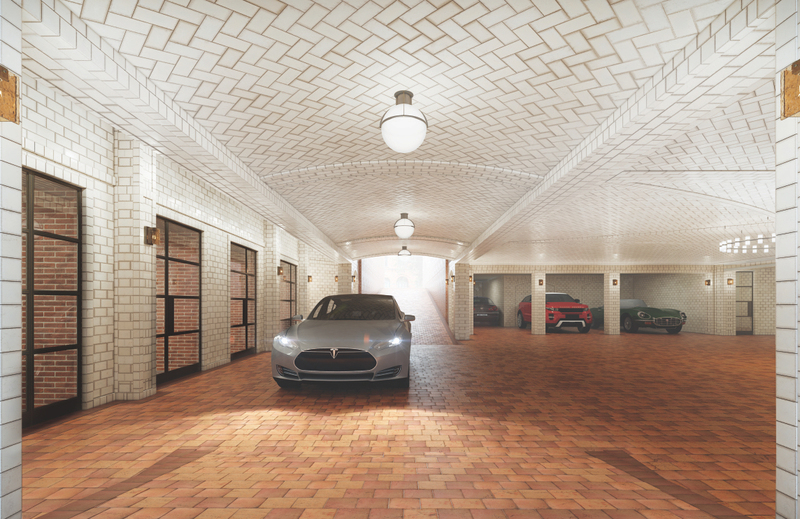 A Turkish Bath, temperature controlled wine-cellar, and barreled ceiling drive-in/out parking garage continue to add to the building's "old-world" appeal. While the Woolworth and 443 Greenwich are turning the old to new, 70 Vestry is turning the trend on its head - making something new appear old. Designed by Robert A.M. Stern this new development will not be flanked in walls of glass and metal, but walls of Beaumaniere limestone, and an art-deco facade that reflects TriBeCa's heritage and the rich architecture of the historical area. 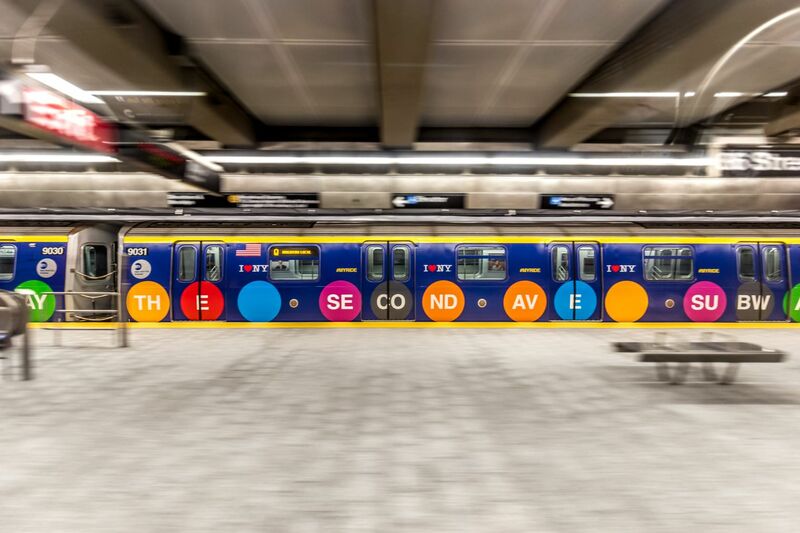 Nearly half a century in the making, the Second Avenue Subway line has brought new meaning to the term, "train delays." Originally broken ground in 1972, the project halted only three years later when the city ran out of money. It was finally resuscitated in 2007 in order to alleviate the ever-growing congestion on the Lexington Avenue line, the sole line that has serviced Manhattan's East Side until now. The long-delayed first phase of the line opened to the public January 1, offering a new commute for as many as 200,000 New Yorkers a day. 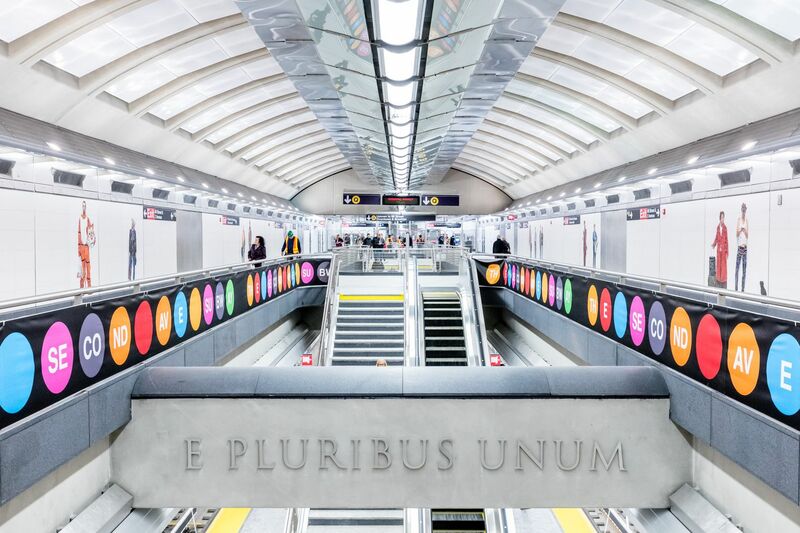 The new Subway comprises three new stations for the Q train underneath Second Avenue at 72nd St, 86th St, and 96th St, costing the city $4.45 billion. 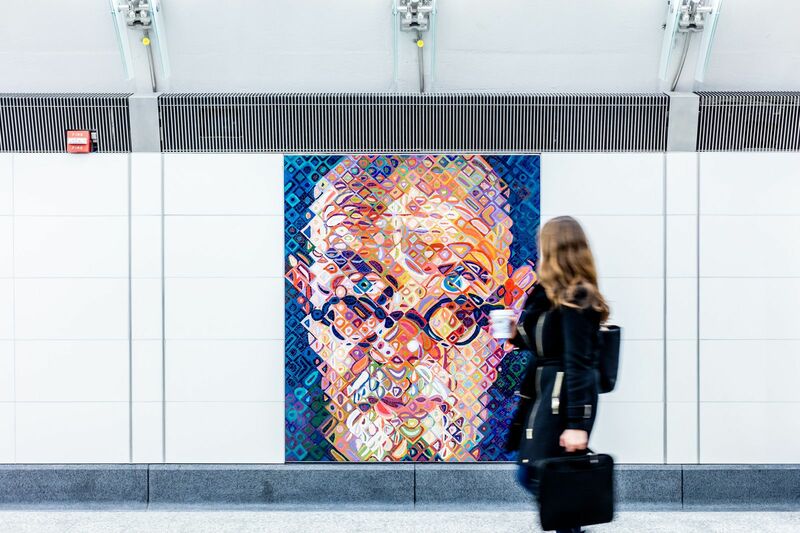 Governor Cuomo remarked that "this isn't your grandfather's subway," complimenting the design featuring expansive, column-free mezzanines, wide platforms and art found throughout. Despite the line's immense roadblocks, Cuomo put it best, "This is New York, and there’s nothing we can’t do when we put our mind to it." 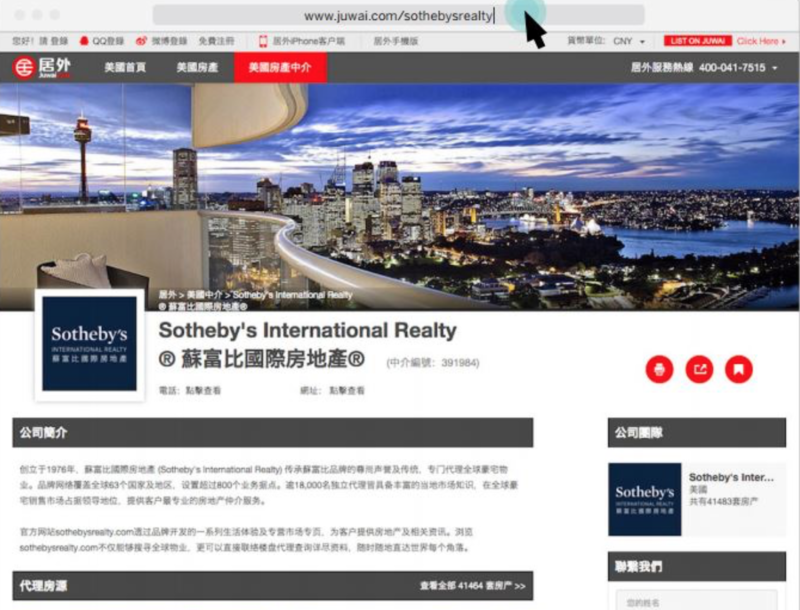 Sotheby's International Realty announced an alliance with Juwai.com that enables the luxury real estate brand to generate Chinese buyer interest on one of the world’s most prominent real estate websites with over two million monthly visitors. Sotheby's now has the most global representation on Juwai.com, displaying luxury listings from 65 countries and territories. One of out of every 10 visitors on sothebysrealty.com is located in China, and the syndication and advertising program with Juwai.com will further strengthen the Sotheby's International Realty brand presence in that very important market. We entirely overhauled our website, steinnewyork.com, last fall, and we'll continue to update you on all of the site's latest and greatest features - such as select Global Properties for sale around the world. 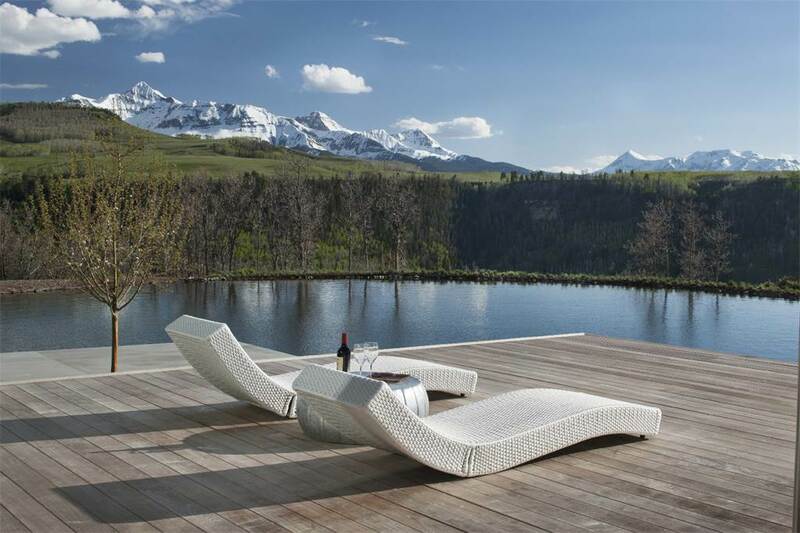 From Telluride to the Hamptons, this spectacular section of our website features a rotating selection of some of the most exquisite properties around the world. 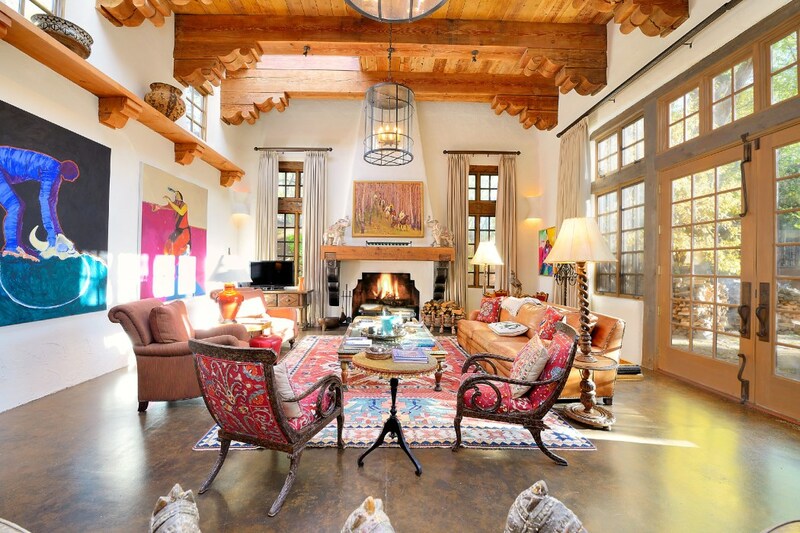 With Sotheby's extensive international network of brokers and properties, we can help you find your dream home or vacation property in over 60 countries. We have a strong network of colleagues and would love to connect you to an experienced broker.